New funding to double our T.E.A.M project in the next 2 years! Big Hearts is delighted to announce a 2-year funding from the Spirit of 2012 Fund to extend our T.E.A.M Project with Multi-Cultural Family Base. The T.E.A.M project is one of 17 projects in Scotland supported by the Changing Lives Through Sport and Physical Activity Fund – a partnership between the Scottish Government, Sportscotland, the Robertson Trust and Spirit of 2012. T.E.A.M uses the power of football to improve the wellbeing and encourage social connections of local young people from various backgrounds. This new funding will help gradually double the impact of the project over the next 2 years with the aim to support 30 children by September 2020. Big Hearts and Multi-Cultural Family Base are looking forward to continuing their partnership and develop additional resources that will help identify and engage with more isolated and vulnerable children in South West Edinburgh. 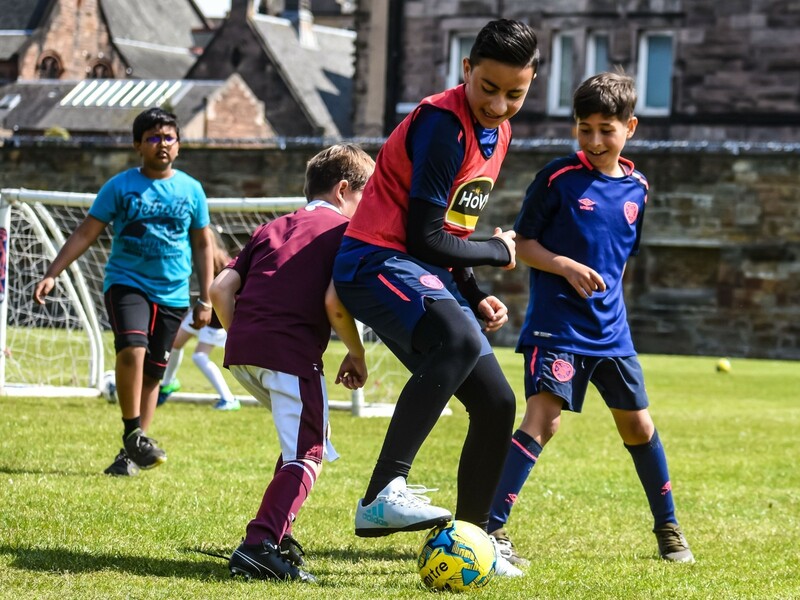 Launched in September 2017, the T.E.A.M project currently provides free after school activities and snacks to a group of 15 local pupils from schools in the Tynecastle cluster.